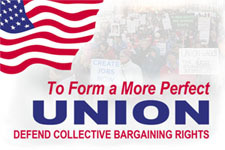 To Form a More Perfect UNION makes the connection between the first line of the U.S. Consitution "We the People in order to form a more perfect union" and the important role unions and collective bargaining rights play in giving the American worker a voice to negotiate salary, benefits, and conditions in the workplace. On April 14, 2011, thousands of union members and supporters opposing major cuts proposed by the Texas Governor that would have a negative impact on millions of Texans marched on the Texas Capitol. 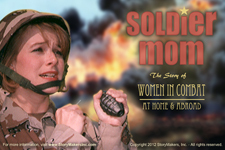 StoryMakers was there to record the event! T-shirts, bumper stickers, and hard hat stickers with the message "To Form a More Perfect UNION" are now available at our Zazzle Store. 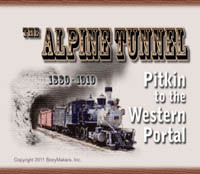 Purchase products associated with our projects from our online store. View more gifts from Zazzle. FREE The Dream! Americans are waking up to the fact that the American Dream is slipping away. But what can we do about it? The answer resides in actively participating in democracy and making the economy work for everyone. Storymakers recently partnered with Dr. Virgil A. Wood–church leader, educator, civil rights activist, colleague and friend of Dr. Martin Luther King, Jr.—and a team of motivated and experienced civil rights organizers to formulate a plan for carrying The Dream forward! Visit www.FreeTheDream.org for more information. 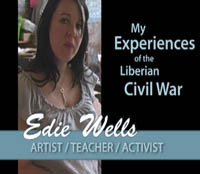 My Experiences of the Liberian Civil War features works by artist/teacher/activist Edie Wells in collaboration with a child survivor of the Liberian Civil War and her pictorical recollections of those traumatic times. 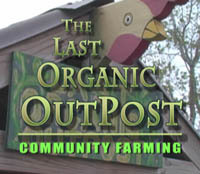 Saving the Planet: Harvesting the Benefits of a Community Farm introduces Joe and Marcella Icet who operate The Last Organic Outpost, a community farm located within the City of Houston only four miles from the downtown business district. Utilizing vacant lots in the historic, yet economically blighted 5th Ward, the Last Organic Outpost offers Houstonians fresh grown produce on the vine without leaving the city. No chemical pesticides! No fertilizers! 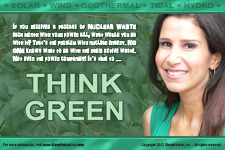 No around-the-world tranportation! Just good healthy nutrition grown in the neighborhood!